Within three weeks into the Siachen conflict during the Kargil war in 1999, India ran low on ammunition, and approached South Africa to help replenish its stocks. That year, the news website India Today reported that the army was short of at least 300 battle tanks and approximately one thousand 155 mm artillery guns. In 2016, in an article published in the India Defence Review—a quarterly journal and web publcation run by retired army officers—Gurmeet Kanwal, a retired brigadier of the Indian Army, wrote that India had to import 50,000 rounds of artillery ammunition during the conflict. Kanwal is presently a distinguished fellow at the autonomous think-tank the Institute for Defence Studies and Analyses. In the article, he wrote that India’s defence preparedness and modernisation suffered due to a lack of resources and attention afforded to it by the current central government. In July this year, a report by the former Comptroller and Auditor General (CAG) Shashi Kant Sharma, was tabled in the Parliament. The report was a performance review of the projects and schemes of the ministry of defence—among other things, it examined the “Ammunition management in Army.” It was the second audit on the army’s ammunition—the first such audit, which was released in 2015, analysed the status of the country’s defence stockpile and production for the period from 2008 to 2013. The CAG’s 2017 report contained the findings of the follow-up audit on the ammunition management for the period following that covered by the first report, from April 2013 and September 2016. It noted that “no significant improvement took place in the critical deficiency in availability and quality of ammunition.” In September this year, while discussing the report with me, Bhupinder Yadav, a retired major general of the army, said, “You remember, during Siachin time, what General Malik”—the then army general VP Malik—“had said: ‘we will fight with whatever we have.’” “This is the situation now,” Yadav said. According to the CAG’s 2015 report, the annual provisioning of ammunition is based on the compliance with the War Wastage Reserve scales, which mandates that India should maintain an ammunition stockpile for 40 days of intense war. Additionally, the report notes that, after the Kargil war in 1999, the army headquarters introduced the Minimum Acceptable Risk Level of ammunition, which was considered the “minimum inescapable requirement of ammunition to be maintained at all times to meet operational preparedness.” The MARL mandates that the ammunition stockpile should be sufficient for 20 days of intense war. The 2015 report reflected the poor status of the ammunition stockpile—74 percent of the 170 types of ammunition failed to meet the MARL requirements, and only 10 percent met the WWR requirements. This year’s report shows minimal progress and significant cause for concern. As of September 2016, the report notes, the army had 152 types of ammunition, of which only 31 types, or 20 percent, met the WWR levels, and 83 types, or 55 percent, did not satisfy even the MARL requirements. I spoke to at least 20 retired army officials to understand the reasons for the ammunition shortage. Though nearly half of them declined to speak on the record, almost everyone acknowledged that there is a genuine shortage, and that there is a dire need to modernise and develop the ammunition stockpile. The army veterans appeared to have a broad consensus on two reasons for the shortage: the inability of ordnance factories to produce ammunition, and the stringent defence acquisition policies for importing ammunition or buying it from private vendors. The main source of ammunition for the army is the Ordnance Factory Board—the apex body for 41 ordnance factories across the country. According to the 2017 report, out of the 41 ordnance factories in India, ten are solely dedicated for manufacturing of ammunitions. During the period from March 2014 to November 2016, the report notes, the OFB was responsible for “catering to 88 to 99 percent of the total requirement of ammunition of Army.” One of the reasons noted by the CAG for the shortage is the failure of the OFB to meet its production targets. From 2009 to 2013, the 2015 report noted, the OFB’s deficiency in meetings its targets increased from 28 percent to 37 percent. In 2010, the army introduced a “five year Roll-on–Indent” for ammunition provisioning instead of the annual provisioning—through which, the army started issuing five-year targets to the OFB, on the basis of which the ordnance factories prepare annual targets. In the period between 2008 and 2013, the 2015 report noted that of the 48 types of ammunitions examined in the OFB audit, the army’s demands were not met for 54 to 73 percent types of ammunition. During mid course of the five-year roll-on indent, it added, the army headquarters took cognisance of alarming deficiency levels. The army proposed the introduction of an Ammunition Road Map—“a progressive plan” to build up the WWR stock levels up to 50 percent, or sufficient for 20 days of intense war, by March 2015, and to make up the balance deficiency by March 2019. In June 2013, the defence ministry approved the plan as well as procurement of ammunition for Rs 963 crore from the OFB and Rs 16,593 crore through import. One of the most deficient types of ammunition, as of September 2016, is that used for artillery guns, which is crucial for heavy firing, because of the excessive shortage of fuzes. This year’s report notes that a “fuze is the brain of the Artillery ammunition and is fitted to the shell just before assembly/firing.” Without a fuze, the ammunition is useless. According to the report, 83 percent of high-caliber ammunition “were not in a state to be used in operation” due to the non availability of fuzes. The report also notes OFB had failed to supply the targeted fuzes in the period between 2013 and 2016. Despite attempts, I was unable to contact a representative of the OFB for a comment. On 14 October, I emailed DK Mahapatra, the secretary of the OFB, who is listed on its website as the point of contact for any correspondence, seeking a comment. At the time this story was published, he had not responded. The deficiency of ammunition has affected the army’s training as well. The report notes that out of the 203 types of training ammunition, the army has put restrictions on the amount of ammunition used for training for 159 types, or 78 percent, of them. The restrictions ranged from 25 percent to 100 percent of different types of ammunition in the period between 2016–17. This is a negligible improvement from the 80 percent types of ammunition that were noted to have restrictions in the 2015 report. The retired major general Yadav said, “the shortage has certainly affected the training.” He used the T9 tank and its high-calibre ammunition, which are considered essential in conventional wars, as an example. “A jawan has not fired a 125 mm APDS in the T9 tank in last ten years,” Yadav said. According to Vasudevan, the government never felt a need to develop the army’s infrastructure because it did not give them any votes. “For them, the home ministry is important.” The army is only called “to control incidents like Panchkula violence,” he added, referring to the violence that swept Haryana’s Panchkula district following the conviction of the self-styled godman Gurmeet Singh in August this year. Anjan Mukherjee, a retired lieutenant general, has expressed a need for the defence ministry to develop a new policy to deal with the ammunition shortage as well. In an article published in the September–July 2015 issue of the Indian Defence Review, Mukherjee wrote that the production of arms and ammunition should be commercialised. He added that the defence ministry should consider offering licensed domestic companies an opportunity to “support the operationalisation” of ordnance factories. Mukherjee proposed that the Defence Research and Development Organisation—the apex government organisation responsible for the military’s research and development—and the OFB should assist private companies with the technology for the production of ammunition, and lend them weapons for the manufacturing process. “The private industry need not be seen as a competitor,” he wrote, “but as a strategic partner with common goals.” When I reached out to Mukherjee, however, he declined to comment, stating that he had been appointed to the OFB after his retirement, and that it would be “inappropriate” for him to do so. All the retired officers appeared to share a common aversion for bureaucrats, whom they held responsible for delays in the procurement and modernisation of ammunition in India. The retired colonel Vasudevan said that India’s defence secretaries were Indian Administrative Services officers who had “little understanding of the army.” According to Yadav, though the ordnance factories are incapable of producing the necessary ammunition to replenish the war reserve, the army has not procured anything new from private vendors since 2007. “This is because of the government’s belief that the production of ammunition should be a secret,” he said. He added that “bureaucrats who have their own vested interests” were responsible for this belief. However, the brigadier Prabhu told me that one of the main reasons for the failure in procurement was that most of India’s ammunition had a Russian-origin design and that “India did not develop the technology to manufacture it.” He added that this was exacerbated by Russia’s failure to transfer the technology to develop the ammunition: “They would keep saying, ‘we will give,’ but they won’t.” “They just wanted us to be dependent on them.” Yadav asked, “If we can buy our ammunitions from foreign countries why can’t we allow our domestic companies to manufacture it?” “The strategic value of ammunition is in the way a country deploys it and not in how she makes it,” he added. Sagar is a web reporter at The Caravan. I wish Sagar uses correct titles and abbreviations for the retired officers. It takes away from his article when he uses lowercase for brigadier, lieutenant general etc. Proper titles are Brig. Gurmeet Kanwal (R) and officers are never addressed by last name. Still it gives only one side of the story. Nest on the Pulgoan Depot fire and organizational factors that contributed to it. On 31 May 2016,130 tonnes of anti-tank mines blew up at the army’s central ammunition depot in Pulgaon, Maharashtra, killing 20 people, including two army officers. A subsequent court of inquiry that the army set up found that the accident may have been caused by defective anti-tank mines, which were packed with explosives of poor quality. On 25 March 2017, a fire broke out at the Ordnance Factory Khamaria, or OFK, located in Jabalpur. The factory, which operates under the Ordnance Factory Boards (OFB)—the government’s defence manufacturing division—was established in 1942. It manufactures ammunition for the Indian army, air force and navy. News reports stated that a series of over 20 explosions took place at the factory, the first of which was at around 6.30 pm. The fire was put out by around 9.30 pm, three hours after it had first started. Since most of the workers employed with the factory had left by evening, nobody was injured and no lives were lost. However, had the incident taken place even an hour earlier, the situation would have been drastically different. A similarly indifferent approach appears to have led to the fire at the Ordnance Factory Khamaria as well. A serving army officer who is working with the DGQA told me that according to the preliminary internal inquiries that were conducted into the incident, the fire appears to have been caused by old and expired ammunition that was to be disposed. The officer added that the ammunition had been lying there because officials from the factory were waiting for instructions from the defence ministry. At the heart of these two incidents is also the DGQA, which assesses the quality of arms, ammunitions, equipment, and stores supplied to armed forces. This organisation—which operates under the Department of Defence Production, or the DDP, of the defence ministry— could have been instrumental in averting the accidents in both the OFK and the depot in Pulgaon. But the DGQA has itself been battling a fractured existence, which may have contributed to the fact that it could not play any such mitigating role. Instead, the organisation has been embroiled in bureaucratic struggles such as the prolonged absence of a permanent head, the delayed promotions of its employees from the military, and the interference of the DDP in its functioning. The DGQA has also been functioning without a permanent head, a situation that was addressed after two years in April 2017. The post of the head of the DGQA (referred to as the Director General Quality Assurance) is usually reserved for two-star or three-star military officers. In the army, these are those officers who hold the rank of a major-general or lieutenant-general, respectively. The organisation consists, primarily, of officers from the Indian army, since both the air force and navy have separate departments for the function of quality checking, which fall under the respective service chiefs. Until March 2015, Lieutenant General JPS Dalal served as the DGQA’s head. Soon after, Anil Garg—an engineer who had been working with the DGQA—took over as the officiating head when he was appointed the special Director General Quality Assurance. Once Garg left the organisation in 2016, J Janardhan—also an engineer—took over the position, becoming the organisation’s second temporary head. According to the serving army officer, this spell finally came to an end on the evening of 17 April 2017, when the Appointments Committee of the Cabinet—which decides on the appointments for several top posts under the government of India and comprises the prime minister and home minister of the country—selected the army’s Major General Shamsher Singh, a two-star military officer, as the Director General Quality Assurance. The army officer added that the DDP is yet to take initiate any proceedings regarding Singh’s appointment. The DGQA, the origins of which can be traced back to 1869, consists of both officers from the military and civilians who are inducted through the Defence Quality Assurance Services cadre—which also functions under the DDP. The department has approximately 200 military officers and around the same number of civilian engineers employed with it. It runs parallel to the army and absorbs officers who are high in merit, but could not make it to the rank of a full colonel. These officers come to the DGQA for a tenure of three years. After spending two years in the organisation, they are considered for the rank of a full colonel and are thereby absorbed in the DGQA itself. This procedure is called the “Permanent Secondment of Service Officers in the rank of Lt Col (Substantive) in DGQA Organisation.” The policy of the Military Secretary’s Branch, or MS Branch, which deals with the postings and promotions of officers, states that only officers inducted into the DGQA under the R1 aspect—referring to high merit non-empanelled officers who have missed their promotion to the rank of a colonel in the army once—are supposed to be permanently seconded. It also states that the consideration for this is to be done through a Quality Assurance Selection Board (QASB), two years after date of the induction of these officers into the DGQA. The Permanent Secondment Board for around 15 officers—to decide on the promotion of these officers—was due to be held on 1 June 2016. However, it has not been held so far and the batch of officers have instead been sent for tenure postings of two years to various military stations. According to the army officer, the file of those affected, duly recommended for a promotion by the DGQA headquarters, has been repeatedly returned by the ministry of defence and the DDP citing some reason or the other. Since the officers from this batch have not been considered for their rank yet, the fate of those who belong to the next batch—whose promotions should have been considered in June 2017—has been hanging in the balance as well. The DDP, under which the DGQA falls, is currently headed by the Defence Production Secretary, Ashok Kumar Gupta. He had presided over the stop-gap arrangement of appointing Janardhan, the acting DGQA. I made repeated attempts to get in touch with Gupta regarding the issues that the DGQA is facing—both through e-mail and over the phone—but did not receive any response. Since Gupta would be the senior-most officer after G Mohan Kumar—the present defence secretary, whose tenure is due to get over by the end of May 2017—he may be in line to become the next defence secretary. The DGQA may have a new head, but the delay in granting the officers the ranks that are due to them remains. The army officer told me that in early April, the defence ministry returned the file concerning the promotion of these officers once again. This is not just hampering the functioning of the organisation, but also adversely affecting the career progression of the officers. According to the serving army officer, as on date, there are about 10-14 posts for the rank of a colonel lying vacant in the armament stream of the army alone. The MS Branch’s policy of conducting two secondment boards in the DGQA once a year is not being adhered to, even though these officers legally meet all the requirements for the secondment. Suman Sharma is a former instructor from the Indian Military Academy, and has now been a Delhi-based defence and foreign-policy analyst for more than a decade. Looks like DGQA is very sub-par organization leading to many of the problems. Why don't they have these officers command detachments that support a group of suppliers? These detachments can have civilian engineers who have domain expertise of those products. For example a Lt Col level officer over the Pune based group of OFB factories. And he has some of those engineers collocated at those factories to ensure QA compliance. Overall DGQA at Major General level is good for its shows attention to QA. But then it needs good implementation. the 7th pay commision has screwed with the pay scales of the Service officers and many a time has placed them in lower payscales vis a vis civilians who were earlier junior and also reporting to them. The continuously on going OROP agitations in dilli have been boycotted by the press on jetli's instructions and nothing has been shown in the press/electronic media for the longest time now. The purposely degraded status of the services by jetli and his baboo(n)s has also agitated the forces as well as the veterans. By virtue of higher pay the civilians in many organisations have refused to attend meetings, etc called by service officers and have demanded that they, the civilians, be allowed to call and also chair such meetings. This has led to an ugly impasse and work has suffered. The MES officers have also reacted in a similar manner within the Forces itself. This is often the root cause of disinterest in being deputed to DGQA and other similar organisations as well as to work with civilians in such humiliating circumstances. Is it possible to send these civvies for a tour of duty in the Siachen? I think the DGQA should be designated as a military unit and not a civilian agency. it can be attached to the Ministry of Defence Production but should be clear its a military organization created to ensure that the services get quality military products. its not the money but the command. negi wrote: Things are done in India only when survival is in danger; IAF's needs are a necessity that too when relations with the neighbor go sour , Tejas or for that matter any weapons development are NOT, we would have never made the TN device or even the Agni had these items be available for purchase . Our only hope is when world stops selling us weapons which we need because we do not have a 'culture' to make things, it does not come to us naturally or organically simply because we have never felt need for machines ; we have so much manual labour at our disposal that we have never felt the need to build 'machines' remember we even shutdown the famous HMT because we never had the passion for mechanical watches we were in it simply for utility, same thing applies to all walks of life we do not want to get into any line of work that has huge initial capital expenditure that has no short term returns so we should not get surprised with the way our weapons programs fare; look at foundations we do not even make our own CNC Lathe machines (most of them are collaborations ), forging machines for cold forging gun barrels are imported , best shapers and milling machines for propellers are imported , any nation that imports fundamental building tools can never truly get into business of making of complex machines , we will dabble into everything but never be able to make a mark unless that fire comes from within and at grass roots level . Government dependent product development will always fail the best weapons platform built even in WWII era were built with major components from private enterprise (as in from people who were in it due to passion more than the money) , be it the Tiger tank , FW 190, Spitfire or even the P-51 Mustang these were government owned programs but their key components and engines came from private companies like Porsche, BMW, RR and Allison . Negi, That HMT watch making factory should have been turned over to make arty fuzes which basically have the timer mechanism. In US, Bulova watch makes the fuzes. Our whole defense setup has that British mentality. I have been reading a lot about the way British tooled up to fight WWII. Essentially in fits and starts and only when they were faced with imminent invasion. And they ended up fighting with US equipment and made some small amounts of own stuff which used to perform poorly. The British Empire was essentially a huge mercantile enterprise based on lest cost/benefit ratio. They never did spend enough for maintain the defense expect on ships and even those were really huge gun boats. None but the battle ships could take a beating. In contrast look at US destroyer boats serving as pickets for their battle fleets. They survived so many kamikaze attacks. And the BE relied on alliances and diplomacy to scare of future adversaries. Rakesh wrote: Is it possible to send these civvies for a tour of duty in the Siachen? boats. None but the battle ships could take a beating. In contrast look at US destroyer boats serving as pickets for their battle fleets. They survived so many kamikaze attacks. It's a very good understanding of UK Empire. I am wondering to what extent it can applied to USA after Clinton Era? Till we have IAS has a rule making body and not result achieving body, we will not progress. I suspect Indian political class has accepted India as mid level service economy since 2004 and have no interest in opposing our slow Civilizational subjugation. by Somi Tandon of the IDAS. (vii) Centre for Adaptive Sensing Technology, Bengaluru. function for accelerated R&D in respective areas. Defence should take initiatives in this regard under intimation to this Committee. (i) Bi-nodal Center of Propulsion Technologies (CoPT) at IIT, Bombay. (iii) Joint Advanced Technology Center (JATC) at IIT, Delhi. Already about two years since the setting up of these centers. What are the samples of their work? Also what exactly do those with a are supposed to do? So many Advanced Technology Centers, what are they supposed to be doing? Reason is ATC looks generic and not focused. Such centers thrive when focused. What is a Bi-Nodal Center? Means has to locations or nodes? Long back in IITM, the scheme was those professors who were not good at teaching were sent off to the Industry Collaboration centers and had their own group of favorite students hanging on to them for future job prospects. So unless these centers have active oversight they will just be green pastures for bad professors. by Somi Tandon of the IDAS (retired). Excellent find for it explains how OFB was segregated from Army in 1987 and instead of efficiency has led to problems. 01 Apr 1987 will remain a landmark date in the history of Defence Budgetary System. It may be recalled that until then the Ordnance Factories (OFs) had been in existence for nearly two centuries. They had, however, functioned as departmental units under the overall control of the Army. The system and procedures for various activities were well laid down and, by and large, these were followed by all concerned. However, on 01 Apr 1987, this system underwent change and the Director General of Ordnance Factories (DGOF) budget was separated from the Army budget. What prompted the Government to bring about this landmark change in the functioning of OFs? The basic rationale was to bring in fiscal discipline both in the OFs (manufacturing units); and the Directorate General of Ordnance Services (DGOS), the prime procurement agency of the goods produced by the OFs. In the changed system OFs had to prepare pre-determined price list of all their products as against simply passing on the product cost much after manufacturing the entire lot of items taken up for production in a lot called ‘Warrant’. The DGOS on the other hand had to ensure that they procured their yearly requirements within the stipulated amount in their budgetary allocation. As a result, whatever the Army was procuring from their own OFs, considered as free issues to the Services till then, had to be henceforth procured from the DGOF at a predetermined ‘price’. The DGOF now became a separate entity with its own budget, under separate Major Head 2079-DGOF. This will remain a landmark event, as on that date the umbilical cord between OFs and the Army was severed. This gave birth to a new budgetary system for the OFs. From the concept of being owners of OFs, the Army and the OFs started to have a relationship of a ‘buyer’ and ‘seller’. The objectives of the DGOF under the new defence budgetary system had to be redefined. The OFs which were earlier producing all the items for the Army had their own priorities. Like any other customer, the Army wanted to procure the best out of its own budgetary allocations. This required emphasis on getting the best value for money. The Army now had a choice in selecting the ‘party’, from whom to procure items that they needed. Earlier, the erstwhile British Indian Army had established OFs for producing and procuring arms, ammunition and equipment to meet all their requirements. They had never considered the idea of having a choice in the matter of buying these items from any other source except their own manufacturing units to fulfill their fast changing demands. Overnight the Army had now become the customer, and this changed the equation between the two. The issue under consideration now was: would this sudden change in relationship bring about a comprehensive change in the organisational work and culture of the OFs? At that time, the DGOF had 39 OFs with a manpower of 1.7 lakh workers spread all over the Country. Even with the best of intentions, the process to disseminate the concept of new budgetary system took considerable time as it required educating and training officers and staff at various levels. This segregation of OFs from the Army involved adoption of a new budgetary system. The new budgetary system had more than one variable; therefore, it needed precise understanding and workable linkages. The new system required periodic review of DGOF’s efficiency with reference to managing its ‘Net Budget’. This concept was something totally new to the organisation. The DGOF under its major head would get budgetary allocation under various minor heads to incur expenditure on producing the end product as well as intermediary products. Simultaneously, the DGOF had to sell its products to recover the cost of production from its buyers; primarily, the Army, Navy and the Air Force. Spare capacity was also to be utilised for meeting the requirements of Central Police Forces (CPOs) and any other civilian organisations, in order to maintain the ‘net budget’ as provided for in the budget estimates. Here came the complication. While the OFs made all their investment in establishing plants and machinery, creating infrastructural facilities and engaged fixed civilian manpower through the Army’s Budget till 01 Apr 1987; now suddenly, they had to ensure that their product prices were viable so that they could sell all that they produced and recover the cost which they had incurred to be able to manage ‘Net Budget’. While these developments were taking place in OFs to cope up with this paradigm shift, for the first time, the Services’ own ‘Budget Allocation for Modernisation’ was categorised as ‘Capital Budget’ and the provision for other stores needed for normal maintenance and replacements was made under ‘Revenue Stores Budget Head’. Specific ceiling in Stores Budget led to DGOS also becoming more cost conscious. Considering the limited allocation of their Stores Budget, they started going into the details of the product requirements and product prices. Even where indents were placed to cover four yearly requirements, the DGOS started taking a holistic review of Inventory Lists to determine whether it should continue with the indented items or go in for new products keeping in view the latest technology and fire power of the latest weaponry. This resulted in large scale cancellation of indents, as all the indented items were not included in the Annual Production Programme in the Target Fixation Meeting between the DGOF and the DGOS. The DGOS justified its stand stating that their budget allocation was on an annual basis and total funds provided were so limited that they could neither entertain all the past indents nor place indents on a long term basis. Besides, the Army desired to have the best value for money within their allotted budget. This resulted in OFs facing severe criticism for unrealistic pricing of their products. The interesting point was that while the products and the manufacturing units were the same (as they were prior to 01 Apr 1987), the change in the budgetary system brought about the relationship of ‘buyer’ and ‘seller’. From being departmental units of the Army, OFs were made into separate manufacturing units. As a result, products which were earlier accepted as ‘free issues’ without any reservation, the reasonableness of their pricing was now being questioned. In a way these were interesting developments. 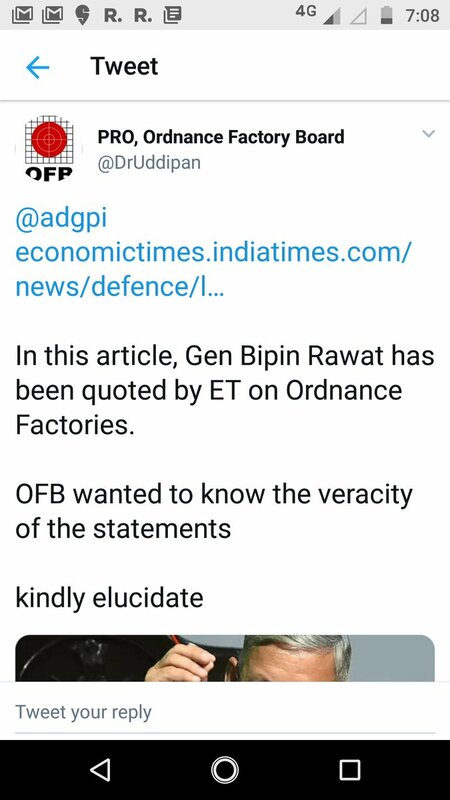 The Army which had earlier never cared or inquired about the cost of the products which were manufactured in their own OFs, suddenly became cost conscious. Besides, there was a basic change in attitude. As a customer, the DGOS could look into the available alternatives and, therefore, could decide : how much to procure, from where and at what price? In a way this was a good development as they switched over to procuring the items within their budgetary allocation. This brought in an element of cost consciousness as well as some fiscal discipline as both the organisations had to manage within their available resources. The major repercussion of this separation was that both were compelled to renew and overhaul their thinking process. They had a herculean task before them. They were required to determine the price of their products much in advance, taking due care of the anticipated inflation. They were also expected to keep the factories engaged in productive work. This would allow them to spread fixed overhead costs over a larger number of products to keep the pricing under control. Only this could have helped them to manage ‘Net Budget’, as catered for in the budgetary estimates. The reality was so different since OFs did not produce consumer goods for which they could find an alternative market. The OFs capacities were created to meet the surge in ‘war time requirements’ of the Services. Some of these factories were set up more than a century ago when the infrastructural facilities were limited; hence, factories provided backward linkages. Right from melting of steel scrap, to producing the most sophisticated guns and tanks, had been the strength of these factories. These expensive sophisticated plants and machinery were neither needed nor considered cost effective for production of goods for the civil market. Hence, the scope to find alternative market to keep the factories loaded with work was an extremely difficult task. With the short closure of indents or the indented items not being included in the Annual Production Programme, the situation faced by OFs was very peculiar, as a number of ‘intermediate goods producing factories’ (IGPFs) which supplied their product to the finishing factories had already produced the items which became their ‘blocked inventory’. It raised a big question mark : what to do with this excess blocked inventory? Top echelons of OFs were compelled to learn new lessons from these rapid developments. Instead of considering Indents as the basis for determining the production programme for each factory, inclusion of Indented Items in the firmed up Annual Production Programme by the DGOS was also to be taken as the basis to proceed with the production of items; whether these items were to be considered for production as ‘inter factory demand’ or the end product items? This exercise, no doubt led to forced reduction in the lead time for all stages of production from components to assemblies and then the end product. Sister factories producing inter-factory demands were also compelled to reduce their lead time to ensure that they would meet the requirement of connected factories but would not unnecessarily increase the inventory of finishing factory. This required close coordination to ensure that items produced by IGPFs should come to finishing factories within a fixed time schedule and limited to demands acceptable to the Services for the end product. These conflicting issues and the DGOF’s aim to manage within the ‘Net Budget’ required meticulous planning for determining the purchase budget for the OFs. It was made obligatory for each OF to prepare a detailed purchase budget and to spell out the material and components to be procured either from sister factory or from trade, after taking note of availability of each item and duly linking the same with the annual production targets. A culture, unknown to OFs became the order of the day as detailed scrutiny started being carried out for procuring all ‘A’ and ‘B’ category items so that, the IGPF and the finishing product factory could plan their production programme in a detailed manner and link their procurement plan with their monthly/quarterly production programme. No doubt, this required very close monitoring of availability of material for production as the cycling time for procurement had also to be shortened to meet the end production target. The thrust given by the Army to make available the price list much before the target fixation meeting was no mean challenge for OFs who were used to passing over product cost to their customer. The repeated questioning of prices of the end product by the Army also brought in an entirely different approach in the annual accounts prepared by the factories. In spite of OFs being in existence for nearly two centuries, and there having been an elaborate system of preparation of annual accounts in each of the factories and consolidation thereof for the entire DGOF, the challenge of segregation of OFs revealed that these accounts complied with the statutory requirements but they rarely made use of the Management Information System. While there were wide variations in the year to year costs of the products, no analysis was available as to : why was this happening and the action to be taken to rectify the same? Since the price list of Ordnance Factory Board (OFB) product had to be prepared before determining the quantity in the DGOS / DGOF Target Fixation, OFB had little option but to take this exercise seriously. To begin with, OFB could at best use the data available in the annual accounts for determining the price of any product. Since the cost of production as reflected in the accounts had lot of variations, a number of steps had to be taken to make annual accounts more reliable so that these could be used for determining the right price of the product for the ensuing financial year. This required not only continuous updating of the average cost of material used for production of items, but also ensuring that IGPFs close their Indents well in time to facilitate finishing factories to include updated cost of IGPFs products while determining the cost of finished product. This was a major step in bringing financial discipline in the IGPFs. It ensured the finishing factory to reflect updated cost of the product in the annual accounts which in turn facilitated them to work out next year’s product price much more realistically. The OFs were also compelled to take a genuine look at what they ought to produce in-house and what ought to be ‘bought-out’ items which were readily available in the market and did not involve any sophisticated technology. There was a famous case of a ‘Tent Pin’ which in 1990 was being manufactured at a cost of Rs 67 in the Gun and Carriage Factory; whereas the same was available in the market for Rs Seven only. To get the OFs optimum work load, they had to produce items at ‘a’ cost instead of at ‘any’ cost. Besides, OFs learnt to diversify to the extent possible to get orders from customers other than Services, which included the CPOs and civil organisations. The large scale computerisation in OFs as well as the Controller of Finance and Accounts, facilitated generation of information much more quickly and accurately. This went a long way in carrying out the systemic changes that were called for to handle challenges that the organisation faced at that time. After a gap of three years or so, the DGOF did succeed in preparing a price list in advance of production for all major finished products to be supplied to the DGOS after taking note of updated production cost of components and materials supplied by the IGPFs. In order to bring cost consciousness and efficiency in repair and manufacturing unit, it would be desirable to create similar self-accounting units within the Services. That would be a right step towards programme budgeting. It would require separate budget allocation for these units to meet all elements of cost whether that is for stores/material, manpower or overheads. Each of these repair/manufacturing units would need to determine ‘assessed cost’ prior to undertaking production work to ensure that they adhere to the quoted price. Variations in actual cost and predetermined price would need to be examined like any other similar units. To begin with, this may be a difficult exercise as was in the case of OFs but because of increased computerisation it should not be too difficult to start, as gains would far exceed the initial discomfort. All steps required to bring about financial discipline and cost consciousness will be in everybody’s interest as allocations in the Defence Services Estimates would be put to better use. @Ms Somi Tandon joined Indian Defence and Accounts Service in 1967 and retired as the Secretary (Defence/Finance) in Jul 2005. Presently, she is working as a Consultant with Indira Gandhi National Centre for Arts and as an Independent External Monitor with the Ministry of Information and Broadcasting. She is also engaged in teaching underprivileged children to improve their learning capabilities. So a bureaucratic organization was suddenly made into a PSU type undertaking without the necessary preparation and end result was it put the country backwards. At least its now 30 years since that landmark event and hopefully OFB has evolved into a corporate type of body. The root cause is the allocation of Capital and Stores budget amounts. Further this Arjun fiasco is can be traced to this desire to treat OFB as an outside entity. So many of our troubles appear to be so simple in their cause that it is amazing that nobody at MoD hasn't thought 'wait a second, this can be fixed!' at all. They've let the disagreements and fights fester at India's loss. The average time an IAS officer stays in MoD is about three years and less is he makes an impact. MoD is a den of Congress corruption. Everyone from peon to secy has to be reassigned. MoD became a den since 1947 to fund the Congress Party machine. After Gandhiji was killed, the business class did not support the Congress party machine. So Nehruji had his chota scams to skim the purchase amount to fund the party and allowed him to tirade against the business class. In 1986, RG used to fund his own bank account. That is the fundamental problem at the root of MoD mess. Look at the date when the OFB was split. 1987 right when RG was in midst of Bofors scam. The splitting of Capital vs Stores and allocating meager amount to Stores Budget was a deliberate decision and continued per tradition. The Capital Account created the arms dealer-babus/services officers- Politician nexus which is still very strong. OFB General Managers are meeting 7-8 May to discuss future roadmap. Very good update from Saurav Jha on OFB modernization.and new products. Both new small arms and artillery are described. https://twitter.com/SJha1618/status/1006822693570785281 ---> Bharat Electronics Limited, which is of course a premier Defence Public Sector Undertaking and lead production agency for most of India's domestic C4ISR equipment is opening an office in Hanoi, Vietnam today. https://twitter.com/SJha1618/status/1006823491457503234 ---> In this article I had written some time ago, I had said that India will use Vietnam to build up its position in the global defence market: Bharat Electronics Limited's new office in Hanoi is a step in that direction. Can India reach its ambitious target of exporting $2 billion in defense technology per year? https://twitter.com/strategic_front/sta ... 32070?s=21 —> Very significant. BEL has opened its first foreign representative office in Vietnam. Is exploring a number of export opportunities for that country including missiles, radars and electro optical sensors. https://twitter.com/sneheshphilip/statu ... 4165824513 ---> Believe it or not, OFB seeks explaination from the Indian Army on Twitter. This is called being true digital. Rakesh wrote: https://twitter.com/sneheshphilip/status/1006894124165824513 ---> Believe it or not, OFB seeks explaination from the Indian Army on Twitter. This is called being true digital. Yet they don't have the sense to create an organizational twitter handle and are using a named account of the PR guy. True digital indeed, the more things change the more FUBAR they remain. The 2018 Parliamentary Committee report on MOD has some interesting notes. Read Chapter II on import substitution. Read Part II for the Committee remarks. 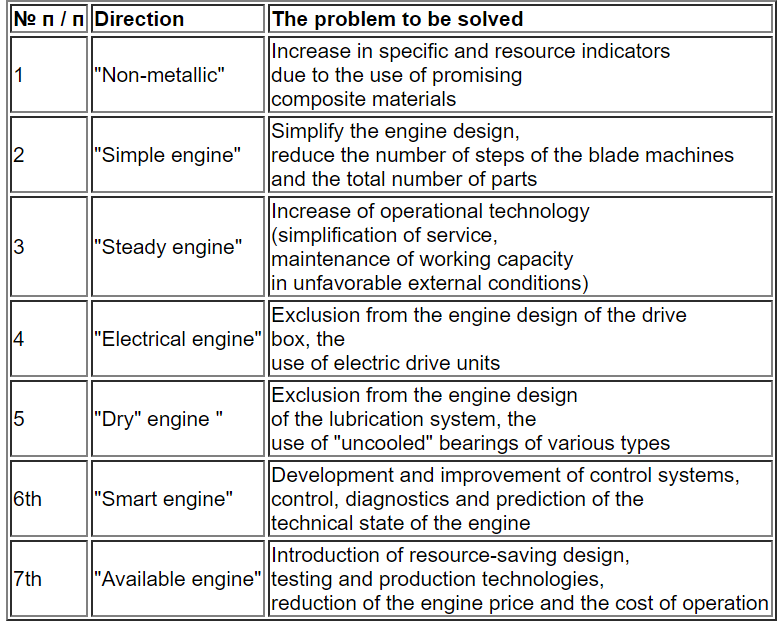 A very good road-map template for Helicopter Engines that Russian CIAM has developed. It would be nice if OFB and DPSU's developed similar road-maps tailored form MoD needs and integrate with Ministry of Civil Aviation as needed. At the 11th International Helicopter Industry Exhibition HeliRussia 2018, held in late May, the Round Table "The Present and Future of Engine Building for Helicopters" was held, at which Yuri Fokin, Head of the Small-Scale Gas Turbine Engine (MGTD) Department of the Central Institute of Aviation Motors (CIAM), was the keynote speaker. Below is a systematic presentation of his report. In the 1990-2000s, a dramatic situation developed in the domestic helicopter engine building, due to the fact that after the collapse of the USSR, Russia remained without serial production of helicopter engines, in particular, the main aircraft engine of the TV3-117 family, which was manufactured by Zaporizhzhya Motor Sich enterprise. In addition, for a long time, new domestic helicopter engines were not developed or commissioned. Some projects have been started, but have not been completed, for example, the RD-600 helicopter aircraft engine. The lack of domestic aircraft engines led to the fact that almost all domestic developed and modified helicopters were used aircraft engines of foreign production. Helicopters Ka-226, Ka-226T, Ansat, Ansat-U, Ka-62, Mi-26 use foreign-made engines. Now we are considering the option of using a foreign engine on a promising medium-sized transport helicopter. Moreover, even on the Mi-38 medium-capacity helicopter, the installation of a foreign engine was originally planned, and only the supplier's refusal to supply engines to Russia forced domestic developers to create a Russian engine (TV7-117V). Today, after many years of discussion, the issue of developing the serial production of VK-2500 engines in Russia has been resolved. What is done by the "United Engine-Building Corporation"
Since the beginning of this decade, the program of import substitution in helicopter engine construction was launched, within which a very significant amount of work was carried out. The main results can be considered the development of the serial production of the VK-2500 family engines in Russia. In addition to assembling the engines of the basic version entirely from domestic components, work was carried out to create deeply upgraded VK-2500P / PS engines, in particular, VK-2500PС-03 certified for the newest Mi-171A2 helicopter. The VK-2500PS engine is a modification of the VK-2500 engine with a new fully digital control system of the FADEC type. Now the state joint testing of another modification of the VK-2500 VK-2500P engine for the modernized Mi-28NM helicopter, which is in the stage of flight tests, is on the agenda now. In addition, the helicopter engine TV7-117V for Mi-38 has been certified. The basic version was developed in the 1980s, but the engine was certified quite recently, the Certificate was obtained with certain limitations of the operational range. During 2018, the whole range of measures to expand the operational range within the framework of the Terms of Reference should be completed, Fokin added. We consider the possibility of developing a PD-12V engine for perspective heavy helicopters and VK-800V for light helicopters. So on the basis of the gas generator of the dual-path engine PD-14, intended for the passenger-oriented MS-21 airplane, the PD-12V engine for heavy Mi-26 helicopters is being developed. As for VK-800, work is now under way on an aircraft engine version intended for use in the power unit of the L-410 aircraft. At the same time, the CIAM supports the resumption of work on the creation of a helicopter version of VK-800V. Finally, work was started to shape the prospective helicopter engine. At present, the company "ODK-Klimov" forms proposals for a prospective engine under the "Prospective engine for helicopters" program, this project has not yet been examined by CIAM. But so far it is known that an aircraft engine will be offered in a larger class of power than TV7-117V, which exceeds the existing analogues in terms of manufacturability and specific mass. Also the task is to improve the methods of 3D-design. To ensure these directions of work, the CIAM is developing a whole range of breakthrough technologies. Together with the enterprises of the branch, the institute implements a program called "Development of Technologies for Advanced MGTS and AAP", the aim of this program is the creation of eleven demonstrators of advanced technologies. 7 High-speed stage of helicopter gearbox. In accordance with the program, in 2017, the planned design studies with conditional leveling for 2025 and 2035 technologies were performed, and in 2018-2019 it is planned to manufacture and test demonstrators. 12 MGTD "complex" cycle with maintenance. Very good process to develop prospective product plans for high risk high pay-off technologies. But all this implies there are no whiners who will crap about failures. Looks like Technology Development Fund has funded the CCF fuze development. This was the ARDE PGK fuze of which we had heard many times. It was supposed to be ARDE, IIT Mumbai and OFB to fabricate. Wonder what is going on. If this is a competetion to the ARDE version? Bharat Electronics: The management highlighted that they have received a notification from the Ministry of Defense (MoD) which talks about reducing margins (at PBT level) from 12.5% to 7.5% for projects given to ALL DPSUs on a nomination basis. So, @IAF_MCC Vice Chief AM SP Deo says the 3rd production line (or 2nd if Aircraft Div is counted out) for #Tejas, must go to a private party and not #HAL. Anything that comes quickly and money stays in the country, we are fine, he is quoted in TOI. So everyone wants a HALt! A fascinating look into how HAL managed teh Su-30 MKI line from 2002 thru 2014. JayS, you'll find this interesting. Essentially HAL has passive oversight of the manufacturing/assembly and this results in cost over runs and schedule delays to IAF. The CAG does not say this specifically but alludes to the constant decade of negligence and repeated under performance. Even their excuses are silly. Facts are HAL has delivered just one SU30 in the last 6 Months. Same for LCA. Why ? when it has standing orders to fulfill for many more. Giving back thousands of crores of rupees back to government every year. Really? HAL pays some hundred crores as dividend as it is a monopoly and is allowed to sell jets to IAF at a price that is 50% more then the landed cost of the imported ones. As far as the Balance sheet goes. if it was that strong then how come the share price is languishing below the issue price? The public issue of shares barely scrapped through with help of all quasi government bodies buying a stake. Vips wrote: Facts are HAL has delivered just one SU30 in the last 6 Months. Same for LCA. Why ? when it has standing orders to fulfill for many more. I have moved your post to more appropriate thread. Let me try one more time. If you keep injecting meaningless rhetoric it not only lowers the quality of your posts but also of overall discussions here as few other posters would reply to that nonsense either to continue the point or to rebutt it. You can not throw terms like NPA which have very specific technical meanings any which way you want. HAL has practically no debt on its balance sheet. Then how can it become an NPA..? Does that even make sense..? And I would suggest taking a casual at HAL annual reports. This year HAL has given back some 10xx Cr as dividend and some 9xx Cr as buy back. You know the math tell me how much is the total..? Couple of years ago HAL gave back >6000 Cr to GOI through buyback. They are earning 2500 Cr or more profit consistently for past few year. HAL Chairman doesn't take all that money home with him. HAL spends about 10% in RnD and rest flows back to GOI one way or the other. About the falling share price, well, your statement simply shows that you are not in touch with whats happening in share market. The fall in share prices simply has nothing to do with HAL's internal performance related matter. The MidCaps and SmallCaps are bleeding left right center since Feb this year. You have some valid points. Stick to them. (Even I do not accept that its OK for HAL to deliver everything at end of the year, I have expressed my views on this in LCA thread previously). But inserting completely unnecessary nonsense statements simply turn off readers from taking even valid points seriously. I hope you do understand that HAL has very limited free will and MoD is their boss. HAL is not like a pvt company which can do whatever it wants to do. And since MoD is their boss/owner, its legit for them to go to MoD because MoD is responsible for HAL. GoI is the owner and GOI has to invest money in any project for HAL to do it. HAL employees are not gonna put money out of their own pockets. Yes you are right GOI & MOD owns HAL, But HAL has autonomy as a company even if it is limited. Both HJT-36 & HTT-40 were started as HAL projects with internal funding before getting approval from GOI for further development. I dont think MOD/GOI would have stopped HAL from developing civilian products. Ah. So you have got until this point. Now please post details of exactly how much autonomy HAL has and how much of it actually would need to start a civilian airliner on their own. Building a desi civilian airliner is not HAL's or any one company's decision, its going to have to be a policy decision at the highest level of GOI. It will need co-ordinated efforts from multiple ministries and innumerable labs and companies, a true National mission, even bigger than LCA program. NCAD never took off because GOI forgot to fund it beyond initiation. Do228 civil certification happened now because GOI introduced UDAN scheme. PS: Thanks for moving the discussion to appropriate thread. Its highly appreciated. Yes you are right HAL doesn't have autonomy for self funding a entire civilian airliner on its own and would also need technical support from other institutions also, but HAL can definitely start a project do some feasibility study and do initial design work with or without NAL using its internal funds similar to HTT-40 project when IAF was against it & trying to block mod approval. Once they are confident they are capable of getting GOI approval and funding for further development. Yes a civilian airliner has to be a National project and NCAD/RTA project never took off, that partly because it was a NAL project under Ministry of Science and Technology and HAL was playing only support roll and industrial push was also only limited. Even Saras is struggling because HAL is playing only secondary roll and I think with Do228 under production HAL's interest in Saras is only limited. But I don't think a 25 to 30 seater aircraft similar to EMB 120 Brasilia or Dornier 328 would be too difficult for HAL+ to design or they should get licence to such aircraft and use it to help develop a Indigenous design. The Dornier 328 design is currently available for co development by its current owners Sierra Nevada Corp. after Turkey has abandoned its revival. Do you know as a matter of fact that HAL hasnt done any study or any efforts towards this..? HAL has known to have many inhouse proposals and concepts which have never seen light in public discourse. I remember at least a few instances where HAL has expressed interest in Civilian airliner. They even did cocept design for Amphibious aircraft some time ago. In fact I am not in a favor of HAL doing it. I think something is very wrong with HAL management that they have allowed themselves to be drawn into Congress BJP tussle on Rafale. Someone in HAL is giving info to one side. This will be detrimental to HAL. The issue with HAL charting it's own path is that the entity underwriting the risk is MoD. If the project/product fails, HAL cannot fire anyone for failure, nor do away with the additional employees it would have added for the project. No one will leave their "sarkari naukri" and pension, even if entire HAL sinks. Please think a bit before writing. How else you want HAL to make Rafales if not for full ToT, and do it in reasonable amount of time..? Reverse engineer entire plane..? Or simply take drawings and make parts with whatever method they can..? Even if HAL can do that, have you ever given a thought as to how long that will take to qualify each and every change in the already approved manufacturing process..? And who will pay for all that work..? IAF..? It could take couple of years to set up MFG processes even for simple looking sheet metal components, even for a company who is doing it day in day out for last 50 yrs. That's how touch manufacturing can be for a Tier 2 supplier and we are talking of full Aircraft here. Unless Dassualt teaches HAL and other suppliers making parts for it, exactly how to make all of them and help them set up facilities and processes, it will take forever for HAL to figure out manufacturing Rafale. Dassualt after all so many years of Rafale manufacturing, is taking forever to ramp up production and here people expect HAL to double, treble production LCA from second year of funding, without even having as mature MIC as France has. Dassualt is manufacturing rafales for over 2 decades now but HAL is expected to do so with the same efficiency and efficacy from day 1.